In St.Louis Infant School we are proud of our Greenschool status. 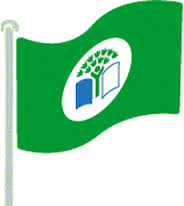 We have been part of the Green School Programme for a number of years resulting in 4 Green Flag awards(Litter and Waste, Energy, Water, Travel) for our school.These flags are a culmination of hard work by our dedicated Green School Committee under the guidance of Mrs.Pauline Greenan, our Green School Co-ordinator. The children in St Louis Infants are environmentally aware and they understand the importance of protecting our world for all of us and for future generations. We had lots of Green School activity this year .Well done to our very busy green school committee. They were so busy with our now annual green school competition. It was so heartening to see lots of our bin monitors on their lunch time rounds checking for lights, taps and bins. It was hard work but I think it was a role they relished and they ensured that we all play our part in being environmentally friendly. Thanks to committee members Dylan Mulholland room 6, Blake Mc Vicar room 9, Mantas room 8, Ava Murphy room 14, Joseph O’Neill room 13 and Emilia Zagota room 11. It was indeed a wonderful success . A big congratulations to room 11 for being the overall winners. The children marked Tree Day with the planting of a Hazel whip which was kindly donated by the tree council of Ireland. It was an enjoyable and educational experience for all involved. Warmed by an October Sun two children from each class assembled at the front door. Kevin demonstrated the planting as Mrs Greenan told stories of when she was a little girl collecting and feasting on wild hazelnuts. The children enjoyed their little outdoor outing which was both educational and enjoyable. Later in the year we had Environment the Musical. Environmental care through the medium of music was the theme of this musical workshop. First class were the very lucky participants chosen to partake and enjoy this real musical treat. Composer, music teacher and environmentalist Annette Mc Nelius acted as facilitator for her very own compositions and workshops. Annette had an instant rapport with the children and her catchy melodies and lyrics did not disappoint.The purpose of the songs was to entertain young and old with an underlying and important environmental message. The children in St Louis Infants are environmentally aware and have been awarded three green flags and they understand the importance of protecting our world for all of us and future generations. 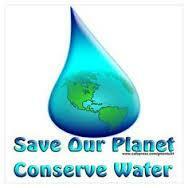 The workshop aims to educate and promote environmental awareness through song and drama . Child involvement and activity was key to it’s success.Favourite songs from the workshop were The Earth is in our Hands and Mean Green Anti- litter MachineThanks to Nial O’Connor and Monaghan Co. Council for sponsorship and to Annette . It really was a musical treat enjoyed by all. A busy year in which we continued to Reduce, Re-use, Recycle.